Shanghai, China's biggest and most prosperous city, oozes an atmosphere of vitality, and a dynamic which can rival New York in the United States and Paris of France in terms of modernity. 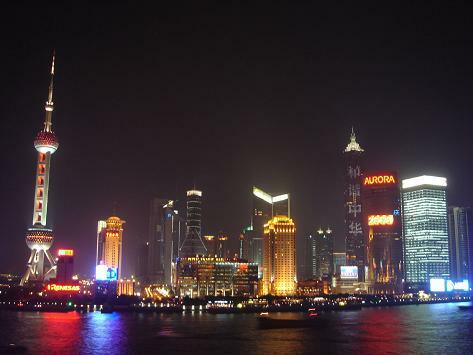 Shanghai is the second largest 'city proper’ in the world after Mumbai. Shanghai, in the center of China's eastern coastline, is one of China's greatest cultural centers, and has a long history as a trading port and gateway for foreigners entering China. This municipality, under the direct jurisdiction of the Central Government, is the largest economic and trade center in China. Shanghai's gorgeous night scenery is one of the main highlights that will linger in visitors' minds after their Shanghai travel experience. As night descends, the entire city is lit up by dizzily colorful lights, joined occasionally by the bright moon hanging in the sky. This Tour features interesting and enjoyable panda experience in Chengdu but also includes the famous sites in Beijing & Shanghai. 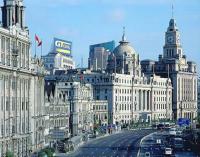 The Mutianyu Great Wall, Forbidden City and thriving the Bund & Nanjing Road also worth a visit. 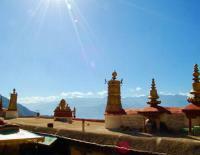 Worship the most holy sites and destinations in China with us! Step closer to China Buddhism; try to understand the faith, and the unique related activities there. If you are a believer, just take a pilgrim along the way and enjoy the spectacular scenery and profound culture in this land. This family-oriented trip includes the most popular destinations in China like Beijing, Xian & Shanghai to offer fabulous experience for the whole family. You and your children will share something in common, fun activities, culture explorations, great food, convenience and comfort! 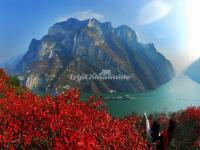 This tour will offer you a super panorama of China! From history to culture, from traditions to religions, people and food, from historical monuments to the natural wonders, from the metropolis to the lovely water towns... this trip has it all. 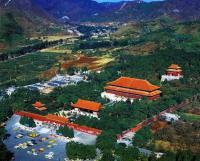 This China Tour provides the most famous historical sites, picturesque landscape and modern landmarks in China. Travel from the narrow Hutongs of Beijing and Xi'an to the grand snow mountain in Lijiang, mighty Yangtze, travelers will experience the ever-changing urban and rural cultures throughout the vast China. The 10 day metropolis tour starts from the southern city Guangzhou, where you will see the typical Guangzhou buildings, ancient historical sites as well as the busy modern streets; you will also visit the bustling the bund as well as the imperial capital city Beijing. The 4-day tour concentrates on the can't-miss attractions around the Shanghai to present the intoxicating combination of western and eastern cultures. Nearby the bustling metropolis, the tranquil water town Zhujiajiao is definitely a stunning contrast. Take a 3-day trip to see the most impressive and energetic city - Shanghai which shows the fantastic blend of ancient & modern, west and eastern cultures. Immerse in every highlight of Shanghai, including the most popular waterfront area the bund, Nanjing road, oriental pearl tower, Yu garden and valued jade Buddha.